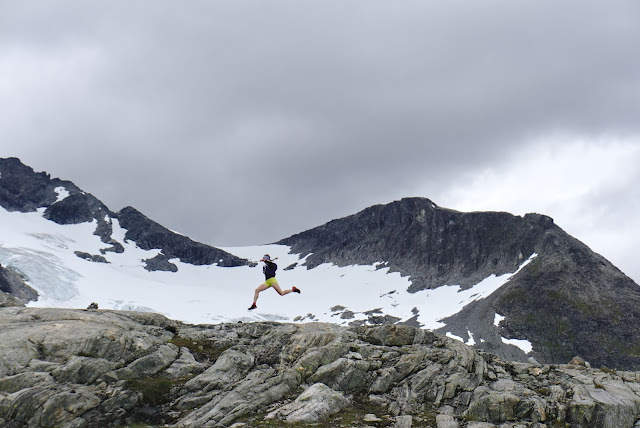 Tomorrow is the start of the 3-day stage race Ultra Tour Monte Rosa, which is the culmination of my running season. I vacillate between excitement (running! in mountains! for three days!) and terror (the race lasts for THREE DAYS!). I'm trying to think of it as an extra long hike. I have no idea if I'm prepared for UTMR, since I've never a race over several days before. Due to my foray in to road biking, I've run fewer kilometers this year than at the same time last year. I definitely wish I had a few more long runs under my belt. However, I know I am fit, healthy and mentally prepared to get the job done. My main priority is finishing, and I will take it easy and converse energy on the first two stages to try and finish strong on the final stage. 2) The GPS tracker provided by the race organizers. In both cases my bib number is 704. I'll be starting at 8 am on September 7, and 6 am on September 8 and 9, central European time. Send some happy thoughts my way! Lykke til, håper du får en god og minneverdig opplevelse.